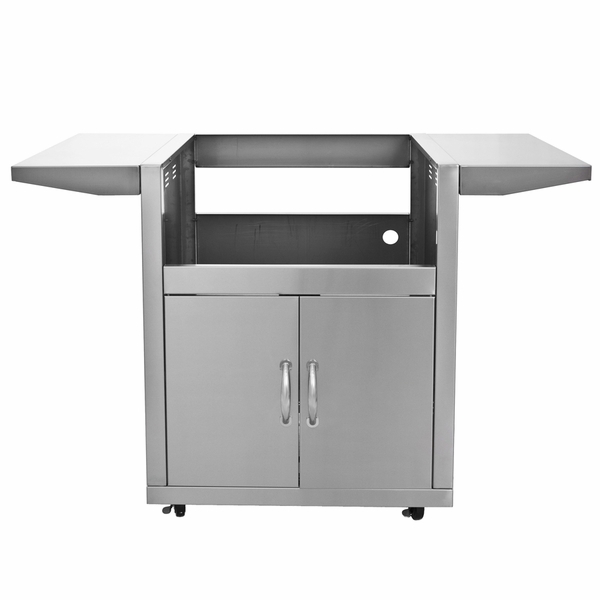 In keeping with the high expectations of Blaze grills, this stainless steel cart provides the highest quality and efficiency at an affordable price. 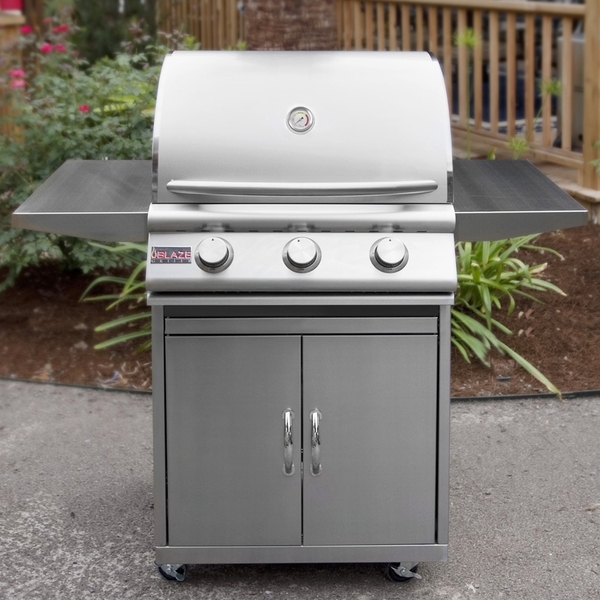 It is made to carry the Blaze three burner, 25-inch grill. 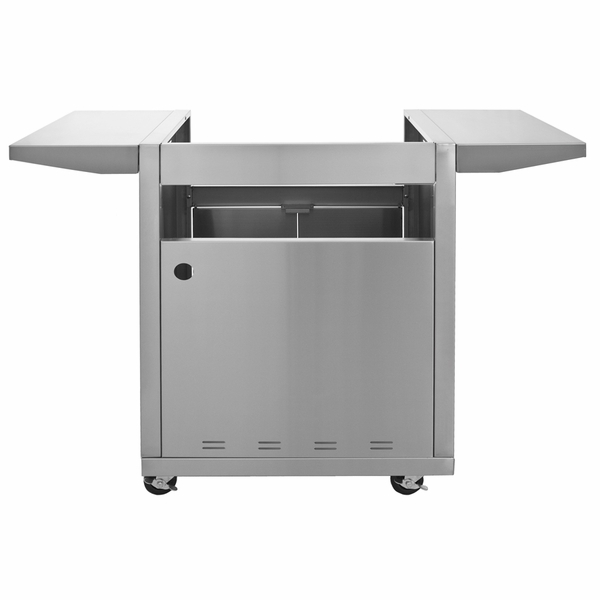 With two side shelves for storage or additional food prep while you are grilling, as well as a pair of doors in the front for easy access to your propane tank, this cart truly does offer extraordinary convenience, all while sporting a durable stainless steel construction that is built to last outdoors, even in harsh conditions. Finally, heavy duty casters make moving your grill between a garage, driveway, deck, or patio a breeze.